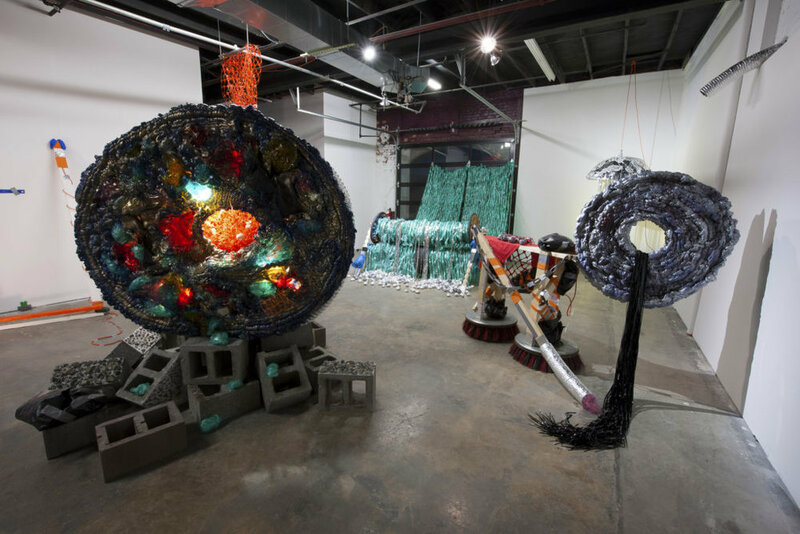 Created by the School of Art at the University of North Carolina at Greensboro, Greensboro Project Space (GPS) is an off-campus contemporary art center that serves both the university and the vibrant communities in Greensboro. Our off-campus location plays a key role in expanding accessibility to the arts. We invite students and faculty of UNCG, Greensboro community members, and the worldwide community, to connect and collaborate. GPS acts as a space for students to have critical dialogue that is in context to people and issues outside of our university. We also act as a neutral space and home-based for the community-engaged initiatives that the university has created. Not only does GPS act as a site for engagement, but it actively helps facilitate connections between a variety of partner organizations, community members, educators, and students. We find that confusion is important. It allows people to find their own meaning and come to their own conclusions. When there is a shifting definition of what we are, it means that we are different things for different people. Depending on whom you ask, we are a dance venue , or a traditional gallery, or a social practice laboratory, or a concert venue. For others we are place to buy a car, or a place to make a wish on a Saturday afternoon. Although GPS is a project of the School of Art, we are also a public and creative platform for the School of Music, Theatre, Art, and Dance. We focus on departmental collaboration and constant redefinition of what art is or can be. These departments use GPS regularly as an experimental venue and a way to connect to the communities in Greensboro. Having all these disciplines in one space creates cross-collaboration between schools in the College of Visual and Performing Arts (CVPA), and acts as an avenue for students to create larger collaborative communities to enhance the scope of their practice. As a result, the city of Greensboro gets a unique window into the CVPA’s expanded creative process and an opportunity to be part of this process. By leveraging our strategic programming, separating our space in unique ways, and providing off-site exhibition spaces, GPS is able to say that we are never fully booked. Students respond to what is happening in the world and need a place to create art in response now, not later. This initiative encourages students to take risks, experiment, embrace their spontaneous nature, and use GPS as a public laboratory to work out their ideas in real time and space. One of the ways we accomplish this is through a variety of innovative, and experimental exhibition spaces. See the ‘Tools’ section for more information. We have found that opening up process is a great way for the public to engage more with art. When they can see everything that surrounds the work, whether through overt physical process or programs that uncover different facets of the methodology or techniques, they feel more invested in the finished project or program. The opening up of one’s process is almost always a step out of the box for those involved, and it creates a vulnerable, more tangible experience for the audience. It brings art and artist to a relatable level for those with little experience or interest. 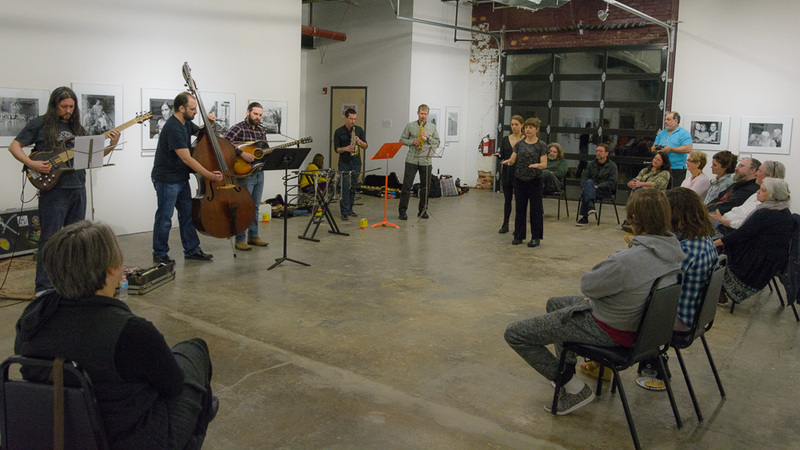 At GPS, we think of social practice not as a separate genre, but as a framework to view and experience a variety of artistic and non-artistic encounters. We create access into our content through a heavy dose of curatorial and educational programs, aligning our curatorial methodology with a lense of social practice. This is done in collaboration with the artists and the efforts of our student-led staff. We find it important that in creating new ways for the public to interact with our content, we add to the discourse and canon of socially engaged art. +The City Billboard: A text-only, artist driven billboard on the roof of our building that students, visiting artists, and community members can use to reach the 30,000 who drive by our building each day. +GPS Kiosks: Freestanding structures that are put in public space. They can show images, videos, or audio, and act as a way to connect the community to the GPS programs. +Art Truck: A gallery inside of an outfitted moving truck to do mobile, community-facing projects. +GPS Correspondents: People around the world become experimental journalists for GPS, connecting Greensboro to diverse people and places outside of our city.